By now, marketers everywhere know about the threat of ad blockers. Consumers have responded to the onslaught of online advertising by installing this software to preserve their browsing experience. Simply clicking off of these ads was not enough to send advertisers the message. They had to resort to programs that would block these ads from appearing on their servers entirely. Once people saw how effective these ad blockers were, they started downloading them in droves. While marketers knew that this software was popular, they are chagrined to see that the problem is not going away. 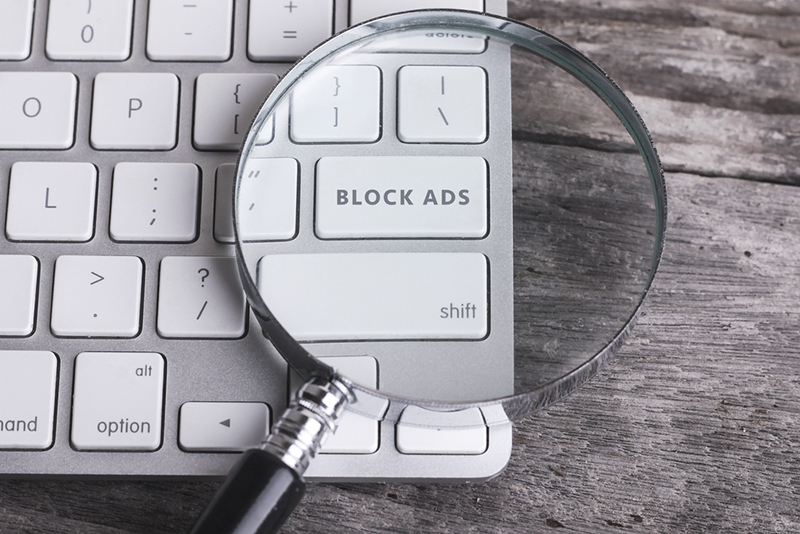 The latest ad block report shows that the software is having a bigger impact than ever. According to new data from Blockmetry, ad blockers now affect 32.4 percent of global page views. Look at your latest analytics and see how much traffic you got last month. As a crude measure, divide that in half and add that number to your total. That’s how much traffic you potentially could have gotten if ad blockers were not in the picture. Meanwhile, the Blockmetry showed that the software is responsible for blocking 5.1 percent of global analytics. Those numbers are not as high, but analytics data is so important to helping you understand your marketing strategy that any variation in those numbers can have a big impact on the decisions you make. The numbers have risen since May, when the data was previously collected. Then, ad blockers were shown to affect 28.5 percent of global page views. The analytics numbers remained the same at 5.1 percent. Some countries have been more affected by the use of ad blockers than others. The latest data show that Poland and Norway both lost 50 percent of page views to ad blocking software. In May, Poland’s numbers were at just 45.5 percent. Meanwhile, France, Germany and the UK lost 33 percent of their page views to ad blockers. Those numbers stayed about the same from May to August. Asia was hit the hardest by ad blocking software. South Asia lost 44.2 percent of its page views, which was up from 39.1 percent earlier this year. In the United States, the numbers hovered around the global average. Brands here lost 31.5 percent of page views thanks to ad blocking software, as well as 5 percent of analytics data. Back in May, those numbers were 27.8 percent and 4.6 percent. The numbers are likely to only continue to rise if brands don’t do something now. People who use their mobile devices to check email or go online are much more likely to use ad blockers than those who use their desktop or laptop computers to do so. The latest data show that about 30.9 percent of global web traffic comes from mobile phones, and about 59.6 percent comes from desktop devices. About 9.5 percent comes from tablets. Meanwhile, about 62.9 percent of mobile page views were affected by ad blocking software. Only 21 percent of desktop traffic was affected, and only 4.4 percent of tablet traffic was affected. Mobile traffic is only expected to rise, so if the popularity of ad blockers continues among mobile users, this could spell big trouble for marketers. The data for Android and iPhone users was about the same. There wasn’t much of interest concerning ad blocking software usage by browser – except for those who have Opera installed. Just over 43 percent of page views coming from the Opera browser were blocked by the software. However, those numbers are expected to grow as the browser is expected to become more popular and users will be asked to upgrade. It is important that marketers consider every bit of this data so that they understand what challenges they face when trying to reach their audiences on all devices and browsers. Ad blockers are here to stay. Instead of trying to figure out how to outlast them, marketers have to figure out how to beat them. One of the most effective methods for dealing with this software has been to invest in native advertising, which often takes the form of sponsored posts and reviews. CodeFuel is also helping advertisers reach more people with In-tag, which recommends content based on user-intent signals. The software matches the right content to the right user at the right time, which means that there are more click-through rates and conversions. You don’t necessarily have to eliminate the use of ads. You just have to deliver a better ad experience that users don’t try to avoid. Delivering content that your users actually want is one way to do that. Use the right tools and diversify your advertising strategy to get the revenue you want and to preserve your page views. Try out In-tag and see how it can help you reach the audience you want and generate the ad revenue you need. This article was written by Asaf Hartuv from Business2Community and was legally licensed through the NewsCred publisher network. Next articleAre strain, stress at Twitter driving out top execs?